The shutters of BHS’s flagship branch in central London have come down for the final time – with no stores to be left by next weekend. On their last-ever shift, workers spoke of their fears as the chain’s collapse has affected 11,000 jobs and 22,000 pensions. 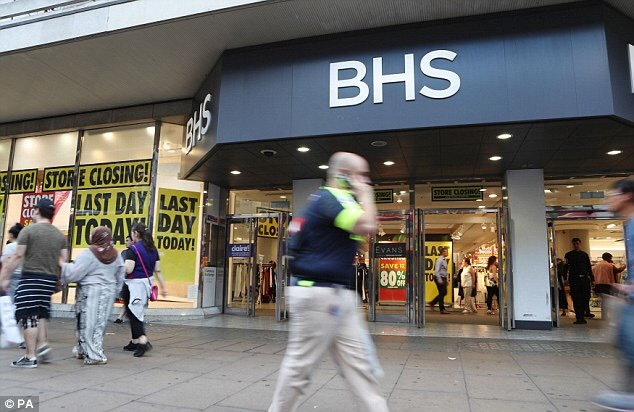 Inside, the 100,000 sq ft shop – which cost BHS about £2 million in rent per year – was littered with scores of red and yellow ‘everything must go’ style signs advertising as much as 80 per cent off. 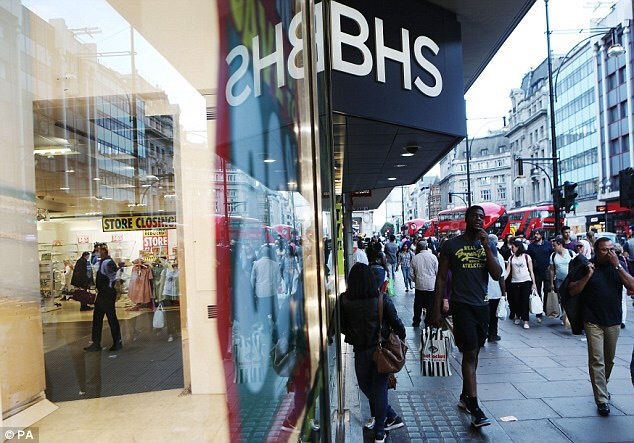 Hundreds of last-minute customers picked over the remaining stock in the store, which has been BHS’ flagship for about 40 years. 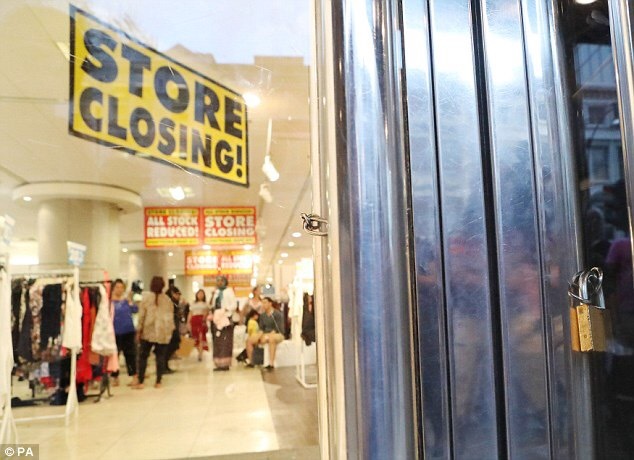 Duff & Phelps and FRP Advisory have already overseen 105 closures over the past weeks, with the last of BHS’s total 163 stores scheduled to close on August 20. News of the store’s failure in April sparked a lengthy parliamentary inquiry and has left its high-profile former owners potentially facing a criminal investigation. 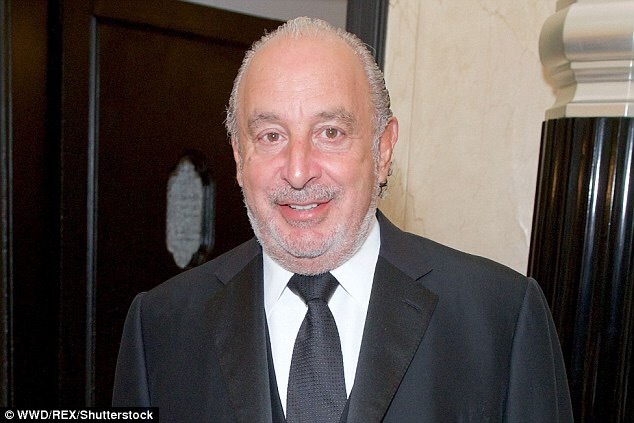 Retail billionaire Sir Philip Green has borne the brunt of the public fallout, having been branded the ‘the unacceptable face of capitalism’ by furious MPs. Sir Philip owned BHS for 15 years before selling it to serial bankrupt Dominic Chappell for £1 in 2015. Sir Philip has come under fire for taking more than £400 million in dividends from the chain, leaving it with a £571 million pension deficit and for selling it to a man with no retail experience. Veteran Labour MP Frank Field has asked the Serious Fraud Office to launch a formal investigation into the pair to ascertain if any criminal wrongdoing occurred during the sale of the chain and throughout their respective ownerships. He said: ‘The central concern that emerged from our inquiry was the rushed sale of a struggling high street institution to manifestly unsuitable buyers. Surai Zacarias, 36, who has worked at BHS since 2012, said: ‘I have to look for another job, of course, it’s been such a long day. It’s been very badly managed by those in charge, I wish this to happen to no one else – not at any company. Brendon Cabey, 34, from Islington, north London, has worked at BHS for 12 years. He said that if he saw Sir Philip he would ‘say nothing at all to him. He has made this company go down the drain. I would not talk to him’. He said he is ‘trying not to think’ about his pension. Nikki Rav, 25, has worked in the store since she was 17. Posted on August 17, 2016, in #uk, Other. Bookmark the permalink. Leave a comment.